Jabalpur the geographic center of the country is located in the state of Madhya Pradesh. The city is favorite among the adventure and nature lovers. Jabalpur is adorned with a number of wild life parks, fossil park, waterfalls, temples and marble rocks. Moreover the city is an educational hub. Due to all these reasons Jabalpur attract a large crowd of tourists and visitors every year to the city. 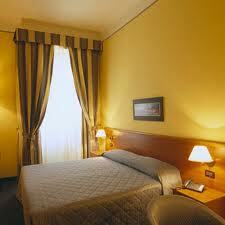 Hence the city is well equipped with a good number of hotels and accommodation facilities. The hospitality sector of Jabalpur provides the visitors with hotel options that are suitable to every budget and taste. The city has good number of budget, economy and luxury hotels. Find here the up to date info on the various quality hotels and accommodations available in Jabalpur.